Yesterday, Presidential election loser and White House lunch guest Mitt Romney’s “chief campaign strategist” Stuart Stevens suggested in the Washington Post that, essentially, Mitt Romney would have totally won if we kept those damned poor people from voting. Also, too: liberal media. On Nov. 6, Romney carried the majority of every economic group except those with less than $50,000 a year in household income. That means he carried the majority of middle-class voters…. In the debates and in sweeping rallies across the country, Romney captured the imagination of millions of Americans. He spoke for those who felt disconnected from the Obama vision of America. He handled the unequaled pressures of a campaign with a natural grace and good humor that contrasted sharply with the angry bitterness of his critics…. [Obama] was a charismatic African American president with a billion dollars, no primary and media that often felt morally conflicted about being critical. How easy is that to replicate? Well, for a white guy who was charisma challenged, the whole “charismatic African-American” thing was damn near impossible. I’d note, too, that the “natural grace and good humor” of which Stevens wrote apparently evaporated not long after election day. The point – and I do have one – isn’t that Stuart Stevens is rationalizing the failure of the last two years of his life; I actually understand that, although why the Washington Post feels the need to pay him to do so on their editorial page is beyond me. Most people pay money, rather than receive it, for their own therapy. It’s that the insidiest of DC insiders are tired of it. [Stephen’s] analysis ignores that those making less than $50,000 represented 41% of the electorate in 2012, and many of those people probably would argue that they’re in the middle class. Stevens also seems to argue that Obama won because he’s a black man whose campaign and party raised $1 billion. “[H]e was a charismatic African American president with a billion dollars, no primary and media that often felt morally conflicted about being critical. How easy is that to replicate?” But that also leaves out the fact that Romney was a white man who had a famous name in American politics and whose effort also raised close to $1 billion. By the way, there’s a lot of contradictory evidence to suggest the president carried the middle — the swing suburban counties. In every swing state, the largest major suburban county tipped to the president. And here’s one final observation about the 2012 race. Per the excellent work by the Cook Political Report’s David Wasserman, Obama’s national lead over Romney continues to expand as votes keep on coming in. It’s now Obama 50.9%, Romney 47.4%. That’s a bigger (and more decisive) margin that Bush’s victory over John Kerry in 2004 (which was Bush 50.7% and Kerry 48.2%). What’s more, the president’s lead has grown to close to 3 points in Ohio, 4 points in Virginia and 6 points in Colorado. One doesn’t win Colorado by six points without winning swing voters; there isn’t a big-enough Democratic base to make that argument. Shorter Chuck Todd et al: Go away. 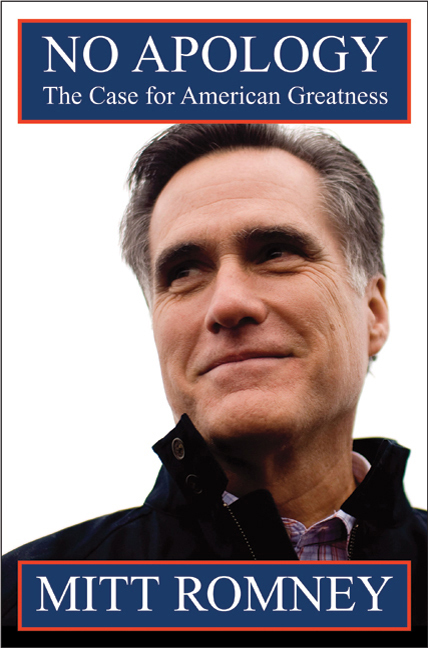 I suggested a few weeks ago that Mitt Romney is about to become a non-entity to Republicans. His best hope for continued positive visibility is if President Obama gives him some efficiency task force to chair, or, if he doesn’t care what kind of publicity he gets, perhaps a tax fraud prosecution will keep him in the news. But no one in the GOP is interested in what the losing never going to run again squishy Republican candidate says now. And no one really cares what his former campaign manager says, either.